Late nights, early mornings and interrupted sleep... Stress and lack of sleep soon take their toll on your complexion. Discover the non-stop night cream formulated for women who never stop. Enriched with organic California poppy extract, a plant with regenerating properties, this treatment gives your skin the rest it needs: the skin is smoother and more toned upon waking. This anti-ageing cream targets early signs of ageing and visibly diminishes fine lines. 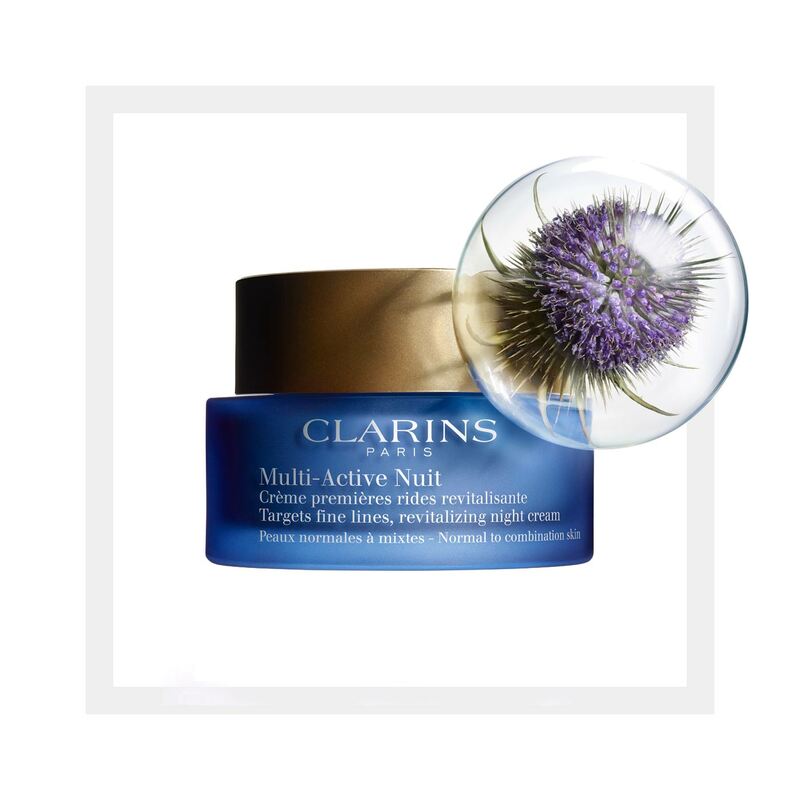 It works to erase signs of tiredness, while Clarins Anti-Pollution Complex protects the skin from environmental damage. Hour after hour, day after day, show off skin that is glowing with youth! 89% increase in collagen synthesis*. helps absorb visible damage caused by late nights and interrupted sleep. The skin is smooth and toned upon waking. Apply Double Serum before the cream to optimise the anti-ageing effect. Apply every night to a cleansed face and neck by pressing gently, working from the centre of the face outwards.